The best way to travel to Morzine for your MTB holiday this summer! The only airport you would consider flying to is Geneva. It is a 1 ½ hour drive to Morzine from the airport. The only other options would be Lyon, Grenoble or Chambery, but this would nearly double your journey time, and make a transfer extremely expensive. Journey time – Approximately 6 hours. You are required to check in 90 minutes before departure on most major airlines. The flight time from UK airports is approximately 2 hours, sometimes less. The drive will take 1 hour 30 minutes from the airport, allowing time to travel to the airport (1 hour average) and extra time to dis-embark, find a hire car or meet your transfer driver. If the average cost for a flight is £50 each way, with luggage costing up to £50 each way depending on the airline, you are looking at £200 return. A transfer costs £70 per person return through Skiidy Gonzales, with your bike. www.skiidygonzales.com The MTB Beds code allows you 10% discount off the total price. How much money you spend on beer at the airport is entirely up to you! Hire car prices vary dramatically but as of writing 6 days rental of a medium sized car, with space for bikes and 2 people was £280, ex charges with Europcar. British Airways - 32kg Bike bag £25 - £30 each way depending on the airport. The crossing itself takes 35 minutes, however the real speed in the tunnel crossing is in the check in. Your car registration is noted electronically on arrival, and you will usually be offered an earlier train if it’s available. They like move the cars through the terminal quickly, get them onto and off of the trains efficiently. There are several platforms meaning you do not need to wait for inbound rain to empty, before embarking the outbound. Folkestone is likely to save you half an hour from the trip on the English side, as it is further inland from Dover. A return trip on the tunnel can cost considerably more depending on the time of day you travel. The terms and conditions do stipulate that the same day return loop hole, where a ticket will be considerably cheaper, can carry a penalty should the return trip not be taken. The journey time for the ferry is approximately 1 hour 45 minutes. It does however take much longer to load, as you have to wait for the inbound ferry to fully disembark. The wait at the terminal in both your car and on the boat will usually be up to an hour. The timings are less flexible so you will most likely be on the ferry you have booked. They can also run into timing difficulties due to rough seas. The ferry is a cheaper alternative to the tunnel, and you have the benefit of a break from the car. How much you spend on coffee and questionable fish and chips on board is up to you! It's a long drive to Morzine but the views are epic at the end! When driving to Morzine, you have the freedom to bring as much equipment as you can fit in, including bacon. You also allow yourself the freedom to move around the area in your own car should wish to. By the time you’ve split the costs it can work out cheaper than a flight to Geneva. There are two options for crossing the channel by car, the ferry or the channel tunnel. Principally, the difference is one costs a little more, but is much faster, one costs a little less, and is slower. Wether or not you get excited by boats or trains is down to the individual. There are multiple crossing options though even from the North, Dover or Folkestone remain the most popular. Overnight ferries from Newcastle or Portsmouth are often used. The actual moving time at the national motorway speed limit of 130 km/h is approximately 8 ½ hours, however it will always take more time than this, due to breaks for food, toilet and fuel. It is 550 miles to Morzine from Calais. There is only 1 route worth considering, which is to use the excellent French motorways. These are very well maintained, unless the French are striking again, traffic free. This link details the route. You first aim for the A26/E17 and the city of Saint Quentin/Reims. You will soon encounter you first toll. You should head to the booth that says ‘ticket’, with a barrier. The lane with no barrier is for motorists with an E-tag. You take an automatically, or button activated ticket and are charged at the next booth. Once on the motorway, you will be charged, there are no ways off without paying, though you only pay for what you have driven. The first toll is 19€ – 21€, the second, and longest leg of the journey is either side of 50€, the final, on the last stretch before Morzine, is 2.20€. The total costs are 70€-73€. Once you have passed St Quentin/Reims, you will pass signs for Paris for several hundred kilometers. You head now for Troyes/Dijon/Lyon, in that order. Past Troyes you are heading for the A39. You begin your gradual South East turn on the motorway after Dijon, and before Lyon, heading toward Geneva. You will soon see the mountains rising. Passing extremely close to the Swiss border and the outskirts of Geneva, you begin your rise to Morzine at the ‘Vallee Verte’ turn off. Once you have passed the final toll, you have a series of critical turns to make, which can be tricky without a Sat Nav. First is the immediate right 2 kilometers from the toll booth. The second is a 90 degree left at the roundabout you soon encounter. After this, a kilometer on your right is the turn for Samoens/Les Gets/ Morzine and the Vallee Verte. Once you have made these turns, though the road is not straight by any means, it is a relatively simple drive, that is well sign posted to Morzine. At the toll booth, you are 1 hour away from the centre of town. We estimate the trip to Morzine from Calais in car wear and tear (i.e. in terms of insurance, servicing, repairs, tyre wear) is £60 - 6p per mile (source AA based upon a diesel car under £15,000 in value). Include this in your calculations or not. Tolls £62 at the current exchange rate of £1 – 1.17 It is a good idea to bring preferred food items with you, as French motorway stops are, to be frank, expensive and of the food on offer isn’t brilliant. You may find a microwave burger exciting, but many wouldn’t. The coffee is, however, cheap and useful on a long drive. Should you wish to stop overnight before making your way to Morzine, two good hotel stops, just off the motorway can be found just outside Reims (Tinqueux);. Both of these options allow you to leave late before your day of arrival, check into a 24 hour hotel for rest before the 5 hour (Reims) and 3 hour (Dijon) drive onto Morzine. Get me to the Channel Tunnel next stop Calais then Morzine! Return Costs - £250 excluding parking charges for your vehicle. Each way journey time – 6 hours including time at the airport, excluding your journey time in the UK. Each way journey time – 10 hours minimum, excluding journey time in the U.K.
*All prices are estimates generated from the website of the service provider at the time of writing May 2017. 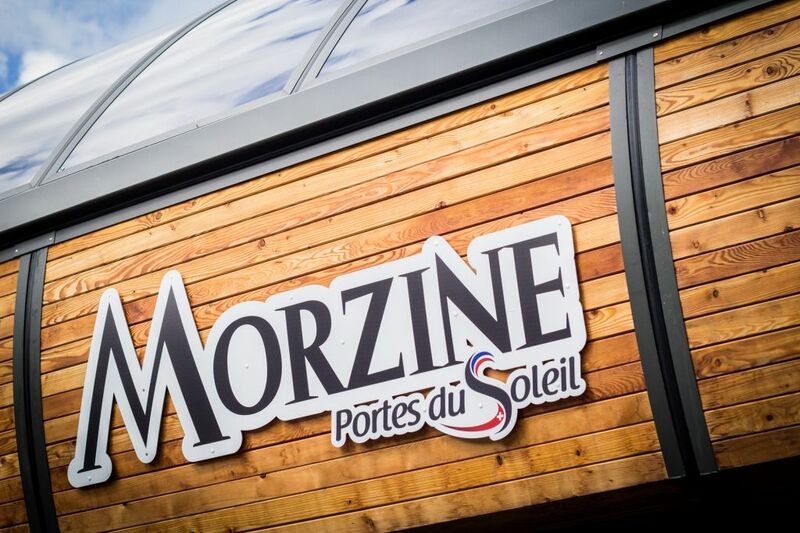 However you get to Morzine, we will make sure there's someone to meet you and a beer in the fridge! Mountain Bike Holidays have never been so good and so easy! Book below!